Its wonderful how some speckles, when done the right way, can take such a majestic form. 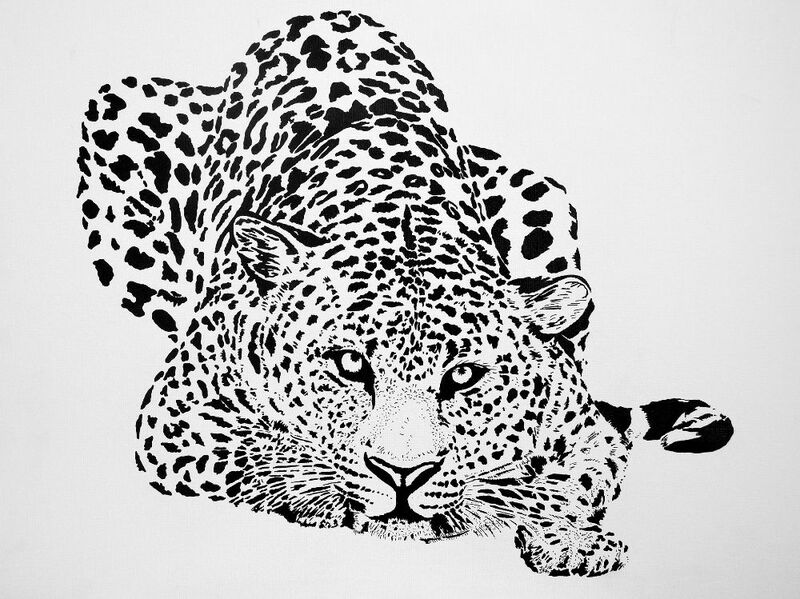 Every speckle in this painting has been carefully placed and skilfully painted, bringing out the details and giving a captivating look to the Big Cat’s eyes. The photograph does not do justice to the painting but looking at the photograph in full-screen mode gives a glimpse of the gravity in the leopard’s look.